DePaul head coach Marie Zidek uses blocking pads during practice to give her blockers a rest from high-impact jumping. 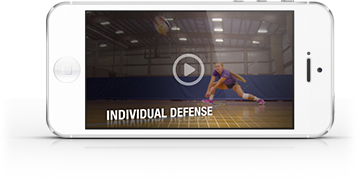 This allows hitters to hone their skills without exhausting players who normally block. As the season progresses and fatigue sets in, Zidek says, keeping players fresh for matches is essential.